BRI-ARI instruction (for younger children) and MRI (for older children, teenagers and adults) place great emphasis on the ‘how-to’ of decoding. 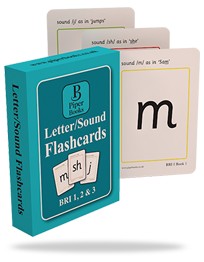 This focus provides essential phonological practice as students learn to blend and segment. Growing awareness of the smallest sounds in words is enhanced in the early stages by SPELL, with children learning to encode by ‘saying the sounds’ as they write each word. 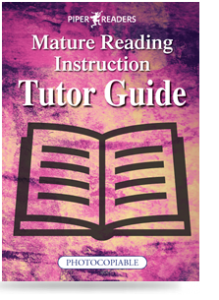 Beginning Reading Instruction: BRI gives children the necessary tools to handle fresh information. New correspondences and words are introduced meticulously, with memory overload avoided at all times. Correspondences are normally encountered at least five times on first introduction and a minimum of five more times in subsequent books. Only three words and five sounds are introduced in the first books, with ingenious little stories created from these slight beginnings. Letters which dyslexic readers readily confuse – e.g. b, d – p, q – h, n – v, w – are widely separated in the instruction. The selection of letter/sound correspondences in the early books facilitates the ‘blending’ of sounds: those sounds that are particularly easy to blend e.g. /m/ and /s/, are introduced in the first books. Dyslexic children are frequently hampered by slow processing. BRI helps to speed up processing through careful structuring of the books and word repetition. In addition, rereading leads to engagement with all aspects of storytelling, including the encouragement of expressive reading and a marked increase in confidence as well as in fluency. The BRI instruction, sound through the word, helps children to develop the habit of directional reading, training the eye muscles to preferentially track from left to right and the brain to preferentially see to the right in peripheral vision. For children finding this process difficult, the Notched Card is an effective means of ensuring left-to-right tracking (See BRI-ARI free resources). ARI readers continue with the structured introduction of the code, increasingly focusing on its complexities. 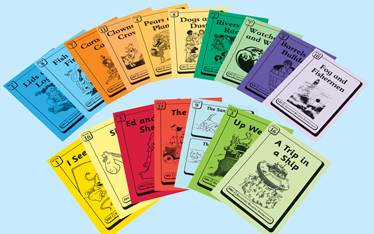 Each set – suitable for KS1 and KS2 children – continue to bridge the gap between decoding skills and reading for meaning and offer sustained and enjoyable reading practice. MRI approaches instructional, narrative and language-rich elements of reading within over 70+ vibrant and witty stories. The five sets provide students with many chances to practise their skills and have the opportunity for sustained reading. An easy-to-use photocopiable guide provides essential help for students with dyslexia.